President Donald Trump’s plan to impose tariffs on $ 50 billion of Chinese exports threatens to wipe out progress made in trade talks between Beijing and Washington, China said on Sunday. A US delegation led by Commerce Secretary Wilbur Ross held talks with Chinese negotiators in Beijing on Saturday and Sunday. Those talks produced “positive and concrete” developments, according to a Chinese government statement carried by the official news agency, Xinhua. 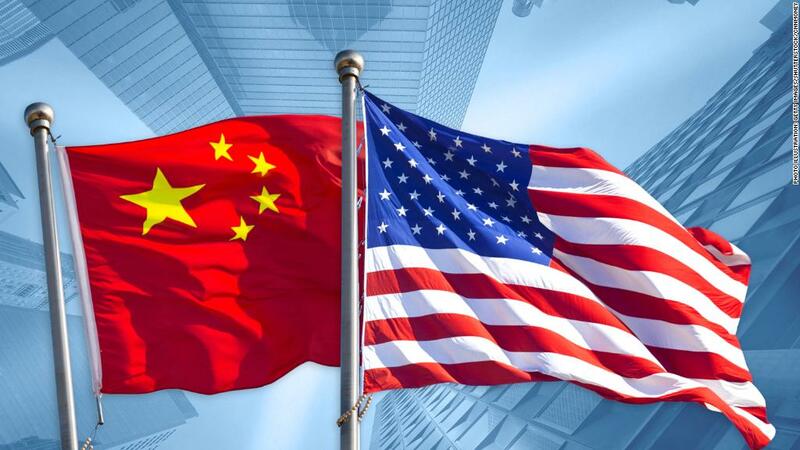 “Agreements between China and the United States should be based on the premise of both sides moving in the same direction and not waging a trade war,” the Chinese statement said. The Beijing meetings came at the end of a turbulent week during which Trump fired the first shots in a global trade war by reviving plans to slap new tariffs on Chinese goods and hitting Canada, Mexico and the European Union with steep tariffs on metal imports. 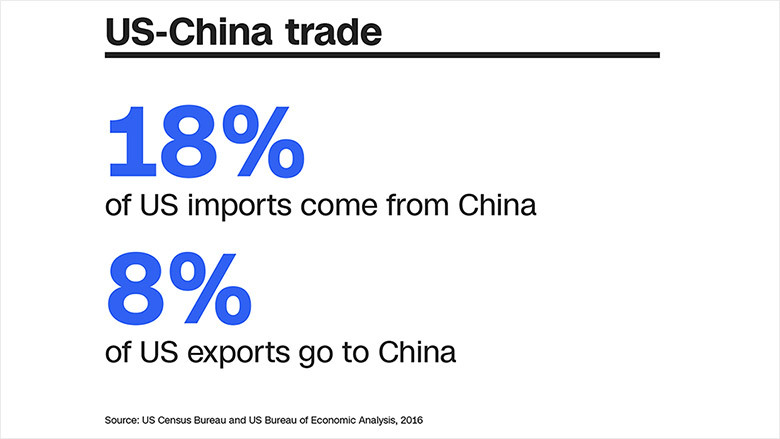 Trump’s announcement that he wanted to proceed with tariffs on China came less than two weeks after the two countries had said they were putting threats of tariffs on hold while they continued negotiating. China had promised at talks in Washington last month to import more from America in an effort to reduce its $ 375 billion trade surplus in goods with the United States. 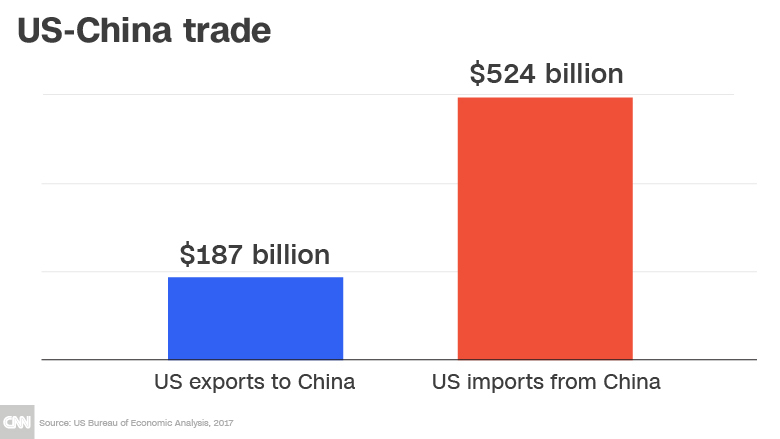 Trump has often railed against the massive trade gap between the two countries. Ross had been expected to seek clear commitments from Beijing to boost Chinese imports of US products in areas such as energy and agriculture. There was no immediate comment from the US delegation on the outcome of the talks. Ross made the brief remarks in front of reporters as he and Chinese Vice Premier Liu He, the top economic adviser to President Xi Jinping, prepared to continue the negotiations. China also signaled that it won’t be pressured into making major changes to its economic policies. That position is unlikely to satisfy the Trump administration. Apart from reducing the huge trade imbalance, US officials want Beijing to move away from industrial policies that they say subsidize Chinese companies on the global stage and pressure foreign firms to hand over key technologies. They are particularly worried about “Made in China 2025,” a program which will pump hundreds of billions of dollars into high-tech industries like robotics and electric cars with the aim of making China a global leader. Analysts say China is unlikely to give ground on those plans, which it sees as vital for the future development of its vast economy. — Steven Jiang contributed to this report.